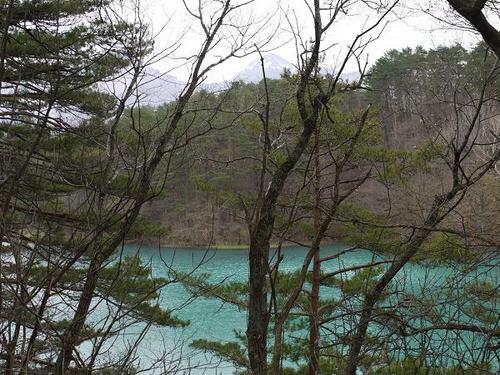 ‘Goshiki-numa’,literally translated into five-color swamps, in ‘Bandai-Asahi’ national park was formed by the eruption of ‘Bandai-san’ volcano in 1885. The latest huge eruption cased the great collapse of the north side of ‘Bandai-san’ volcano, which dammed up a nearby river to form hundreds of inland waters. Tens of smaller swamps among them are called ‘Goshiki-numa’ that are filled with various hues,green,red or blue, because of the difference of minerals and water plants in each water. The beautiful swamp in the picture is ‘Bishamon-numa’,the largest one of them,from which a pleasant stroll can be enjoyed looking around the eight swamps in one hour. Stunning natural beauty especially in the season of fresh green foliage or autumnal leaves will come into your sight on the boardwalk.